This restaurant was one of the best places I had a chance to eat at during a quick trip to Berlin with my friend Annelie. As it was a weekend it was pretty busy, but we managed to get seated at a table in about 10 minutes. The restaurant does not take reservations, so just be prepared for a bit of a wait. Patience is a virtue in this case. Once seated we quickly ordered some drinks to warm us up! I went for a fresh ginger, lemon and orange tea complete with warming cinnamon stick. To eat I had a chicken noodle dish with peanuts and sliced vegetables. So simple but tasted amazing. 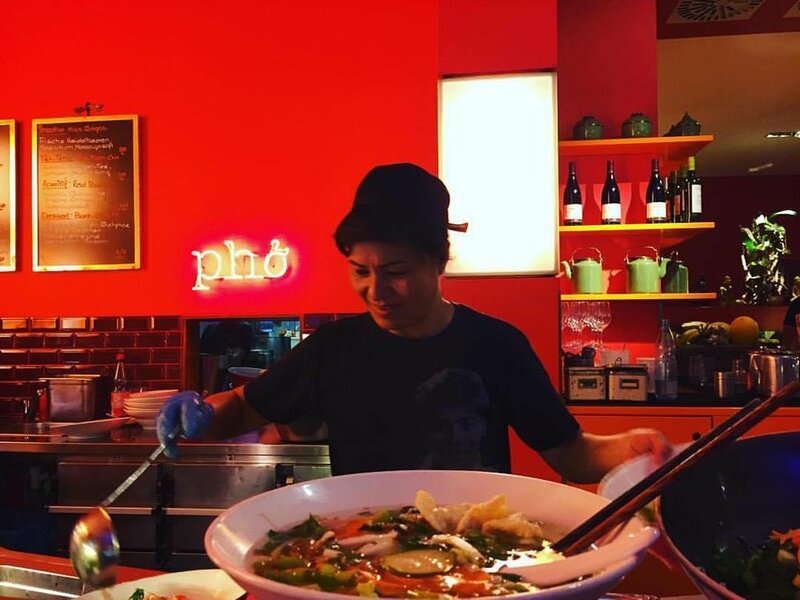 Monsieur Vuong is a family run restaurant and a pioneer when it comes to traditional Vietnamese street-style food in Berlin. Dat Vuong arrived in Germany as a child with his parents. Missing the aromatic, simple dishes of his hometown of Saigon, he opened a tiny Indochina Café in Berlin’s historic Scheunenviertel district in 1999. The restaurant has since moved to Alte Schönhauser Strasse. 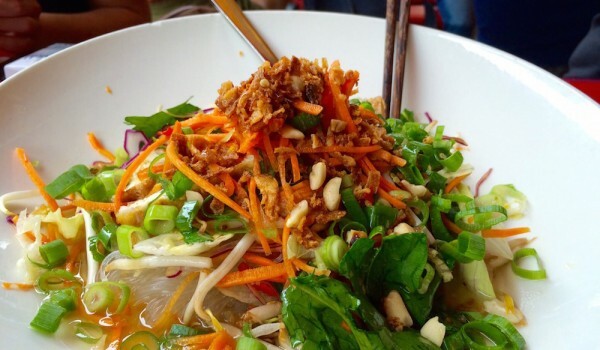 Monsieur Vuong offers you specially selected, elaborate Vietnamese dishes. Be inspired by the varied aromas from the tropical gardens and rivers of the Mekong Delta in south Vietnam. Savour the aroma of curry, lemongrass and roasted sesame. Or why not try one of their fruity shakes? All of their aromatic and delicious dishes are prepared according to original recipes using only the freshest ingredients. The menu changes every two days which enables you to try a new, amazing delicacy every time you visit. Relax with the aroma of jasmine blossoms, fresh ginger, lemongrass and further selected teas. Or try their creamy Vietnamese espresso, as served in the cafés of Saigon and Hanoi. I thoroughly enjoyed my dinner and the speedy service. The relaxed atmosphere makes you feel warm and happy inside and I had a lovely time catching up with my friend. I wanted to buy there cookbook but currently it is only available in German, hopefully it will come out in English soon! My German is pretty limited these days.....Monsieur Vuong also sell take-out and deliver on Deliveroo. Go check them out! If any of you have been to Monsieur Vuong please tell me about it in the comments!